Goh Wakabayashi joined Toei Animation Co., Ltd. in 2004. His career started as licensing manager for Toei’s European business, and he lived in Paris for four years. Since 2009, he has been based in Tokyo and has been working as a producer in various anime titles including Dragon Ball Z Kai, Saint Seiya Omega, and Precure All Stars: Sing Together, Miracle Magic! He has also produced some live action TV series including Ressha Sentai ToQger and Shuriken Sentai Ninninger. The latter title became the basis for Power Rangers Ninja Steel. 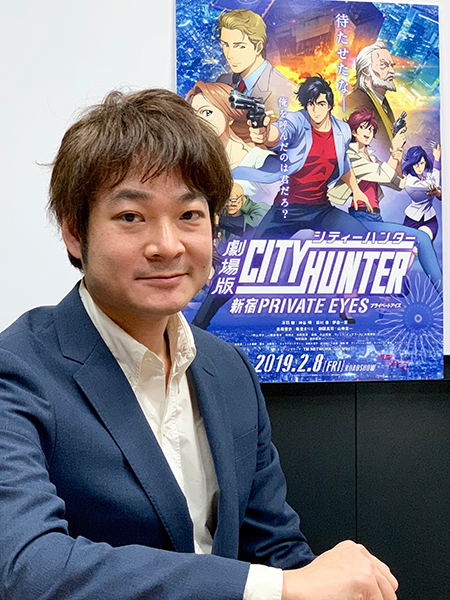 He joined Aniplex in 2016 and his most recent title is City Hunter: Shinjuku Private Eyes. Wakabayashi-san appears courtesy of Aniplex.